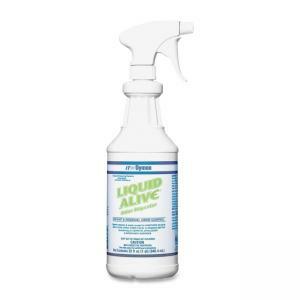 Liquid Alive Odor Digester contains enzyme-producing bacteria that digest malodors and waste. Use in schools, hotels, nursing homes and restaurants. Biodegradable, nontoxic formula does not stain carpets and upholstery. 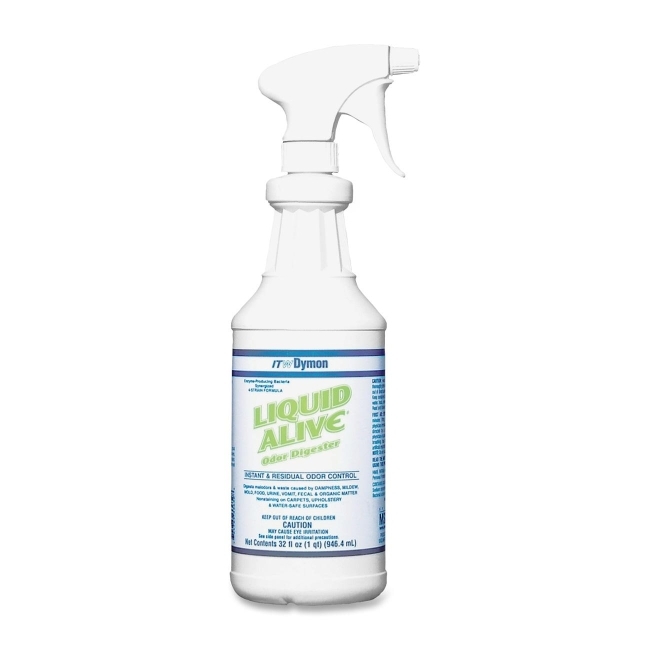 Industrial-strength odor remover comes in a spray bottle.